I’d pack for every contingency possible when I traveled with my parents as a child. Every time they thought they were ready to hit the road, I had go back to the house and get something else. Clearly, traveling with me wasn’t easy in the least. Although I am no way near the way I was as a child, I’d like to say that I instantly learned how to travel light once I got older. However, it wasn’t until a few years ago that I learned that simplicity is the key to an enjoyable traveling experience. Not only is traveling light the key to an enjoyable traveling experience, but it enables one to have more freedom and comfort. There’s hardly anything worse than bogging yourself down with a mountain of luggage! That’s why my preferable choice of luggage is a small, yet spacious carry-on. Navigating the airports and hotels with my carry-on is now much more a simpler and comfortable experience for me. 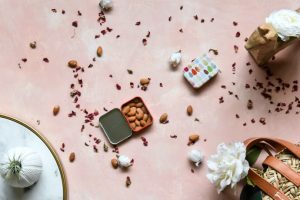 I also don’t have to be concerned with checked baggage fees, because all I usually have is my carry-on and a personal item, such as a handbag or camera bag that can double as a handbag. 1. I always bring at least one or two lightweight, yet spacious tote bags. I use one for souvenirs, while the other one is used to separate clothes that’s to be laundered from the clothes that are clean. 2. 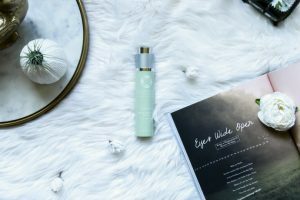 Although I do want to look my best, I also want to feel comfortable while traveling since I know that I’ll probably be doing a lot of walking. Therefore, I always leave my heels at home. My go-to traveling shoes are ballet flats. They’re comfortable as they’re fashionable. 3. I like to give my luggage a once-over at least a week before leaving for my trip. I make sure that I have everything that I need. I also remove anything that I may deem unnecessary, especially if there is something that doesn’t coordinate well with the other pieces that I have. 4. I carefully and tightly roll my clothes instead of folding to them to create more space in my luggage, while staying organized. It also helps keep my clothes wrinkle free! 5. I’ll admit that I have a penchant for fun, vibrant patterns in clothes, yet sticking to the basic color schemes, especially in separates, will enable endless outfit possibilities. This will also help you pack fewer items. 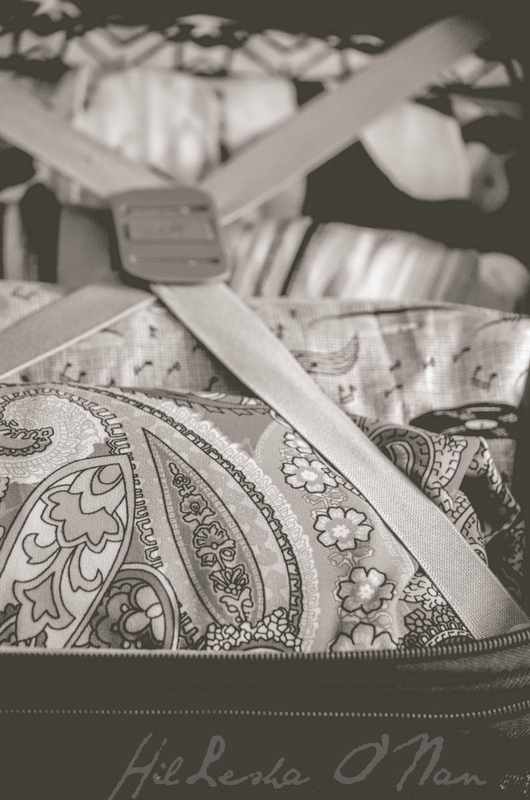 Since their inception in 1919, Atlantic Luggage has been known for their durability, quality, and style. One of the features that sets them apart from the rest is their innovative Link2Go™ system. The Link2Go™ system makes carrying multiple luggage at the airport an effortless breeze since it connects the Atlantic Luggage pieces for an easy one handed rolling. As if it doesn’t get better, their 360-degree 4-Wheel Spinners makes guiding through a busy terminal much easier! 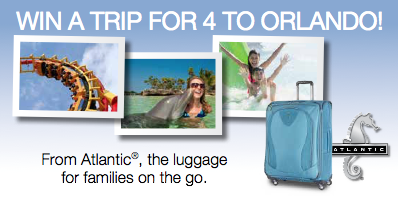 Atlantic Luggage has unveiled a Trip to Orlando Florida Sweepstakes. Between now and June 15th, one Grand Prize winner will have a chance to win a trip for four to Orlando, Florida! The trip includes round-trip airfare for four, 3 nights of hotel stay, four two-day admission passes to 34 of Orlando’s best attractions, $150 spending money and 4 carry-on pieces of Atlantic luggage. The total prize value of $4,270. I can be a pretty bad over-packer so sticking to pieces that are basic & can be used for multiple looks is good advice. I need to book another trip & practice! When I pack, I ALWAYS over pack, always! So if I were to ever fly, oh my goodness! Thanks for the tips! I need to pack a tote like you suggested. That’s a great idea! Right now I use a plastic bag for dirty garments. In addition to our full sized carry on, I love my little bag with a hard outer casing. It’s perfect to put my feet up on the plane like an ottoman! But the clothes always stay in the regular carry on and, like you mention, having an editing eye before finalizing the contents is a must! Carissa Pelletier recently posted..Manners, Please! Thanks for these great tips! I am the queen of overpacking and with summer travel coming up, I’m hoping to use your tips to pack smarter! This is great information. I’ll be packing soon for 2 weeks vacation and this post comes in handy. I’m about to start packing my own carry on! These were very helpful tips. Thanks! I’m not much of a traveler anymore but back when I always packed LIGHT–even when there were no extra fees for excess weight!! I just never liked to be lugging around stuff I didn’t need. I still don’t actually–except in my pocketbook–got to lighten that thing up!!!!! This is a really great post on how to pack. I don’t travel much but we will be this Summer. Thanks for the information. Great tips! I’ve actually never had to worry about because I’ve never been on a plane. I hope to change that soon, though! I tend to overpack and I find it really hard to pack lightly. Thanks for sharing your tips. I always walk with a carry on but because I have a toddler my carry on is packed a little differently. Great tips. I so needed these tips. I’m very guilty of over packing juuuust in case I need something. Good tips. We travel a lot and I am the worst at packing. No matter how hard I try, I always overpack and my carry-ons weigh a ton. My shoulder is numb after I leave the airport…LOL! Valerie Remy-Milora recently posted..Fitness Friday – Make It A Family Affair! I too have only recently mastered the art of light packing, I want to be as free as possible when trolling through airports and trying to get to hotel. These are great tips. This is a great list! I normally will put flip flops in my carry on to switch to on the plane. This is so helpful! I always over pack. I would love it if I could get away with just a carry on. It would be nice to win this sweepstakes, we badly want to hp pm vacation this year but pur finances is not looking good. Thank you for sharing your wonderful tips, this one is my main problem when I am going to travel and now I had idea because of this. I always use extra small bags just in case I need to expand my luggage for the items i purchased. Rolling clothes can also save a lot of space. Ourfamilyworld recently posted..Why Does My Toddler Love to Be Naked All the Time? These are some really great tips. I never can get everything I want to fit all in. Great tips! We have always drove with our kids but there will come a day when we will need to fly, and these tips will come in handy! Thank you! I need all the help I can get. I’m actually heading out of town next week! Thanks for the tips. I don’t know how to pack light and well! Thanks for sharing your tips.